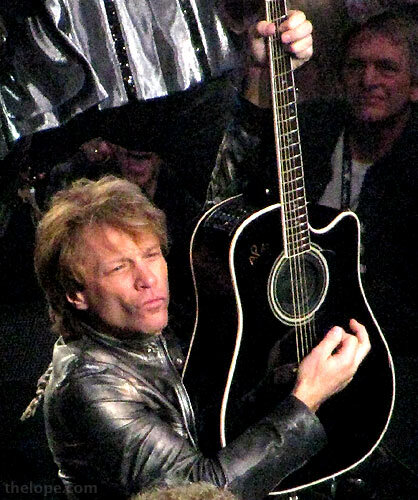 It was announced Tuesday that Alice Cooper and Bon Jovi are on the list of nominees for induction into the Rock and Roll Hall of Fame in 2011. Winners will be announced next year. And why do I care? Well, actually I don't care who's in the R&R HoF anymore than I care who wins the Emmys or Oscars, but I photographed both acts this year so this is a logical time to run pictures. 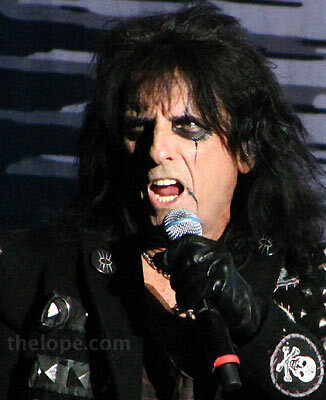 I'll have more on Alice during Ace's 13 31 Days of Halloween in October. This shot wouldn't make the cut for the Halloween post because there's nothing horrific in it - just "Nurse Rosetta" firing grinder sparks toward Alice in a wheelchair. Nothing to see here; move along now. 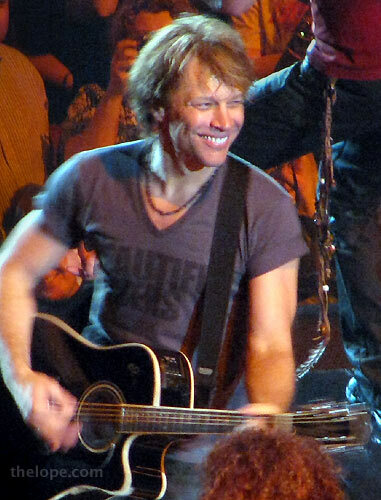 I'm actually not that much of a Bon Jovi fan, but he put on a great show and I was impressed by the pricing system for tickets on his 2010 tour. Tickets close to the stage were very high, upwards of $500, if I recall. 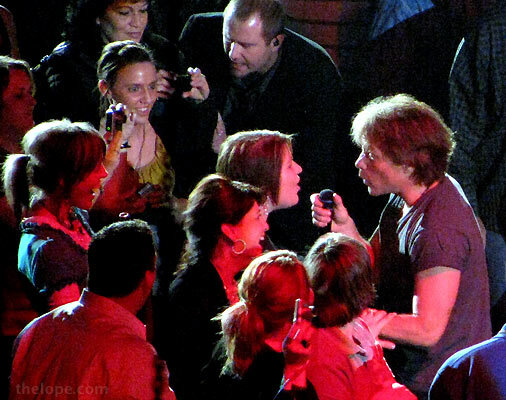 Of course, those folks got the chance to be sung to, as in this foray into the audience. Seats father from the stage were cheaper, which is normal for concerts but not to the degree that I saw in Bon Jovi's 2010 tour. Seats in the upper section behind and above the stage for the Wichita and Tulsa shows were as low as $15, even with the usual additional charges. Patsy and I were able to grab tickets at the lowest part of the upper level of the Intrust Bank Arena for slightly more than that and watched the show through the motorized moving background screens. 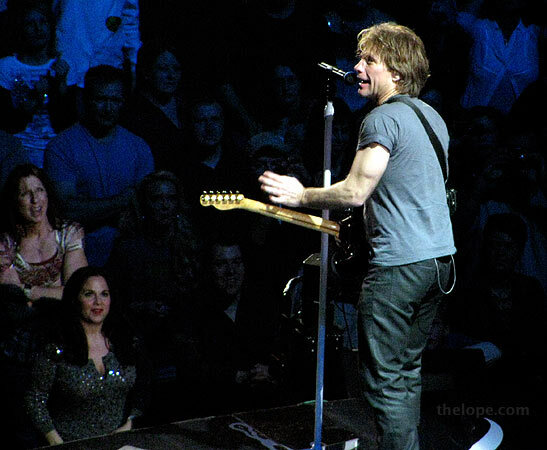 Often, we saw only the back of Bon Jovi but for some reason, Patsy did not complain.